There are roughly 600 million people in sub-Saharan Africa who currently live without electric power. Putting in the infrastructure to supply power to these people in their various countries has been a major economic and logistical challenge. Electricity from so-called decentralized systems such as solar power with battery storage eliminates the thorny problems of putting in place infrastructure in inhospitable environments. However, for the most part, decentralized power has been more expensive than grid-based electricity except for the most remote locations. The rapidly declining costs of solar and battery technologies could soon make them the cheaper and more reliable way to get power to the people of sub-Saharan Africa. A research team at UC Berkeley analyzed 10 years of solar data from NASA to determine the cheapest ways to build stand-alone solar energy systems. 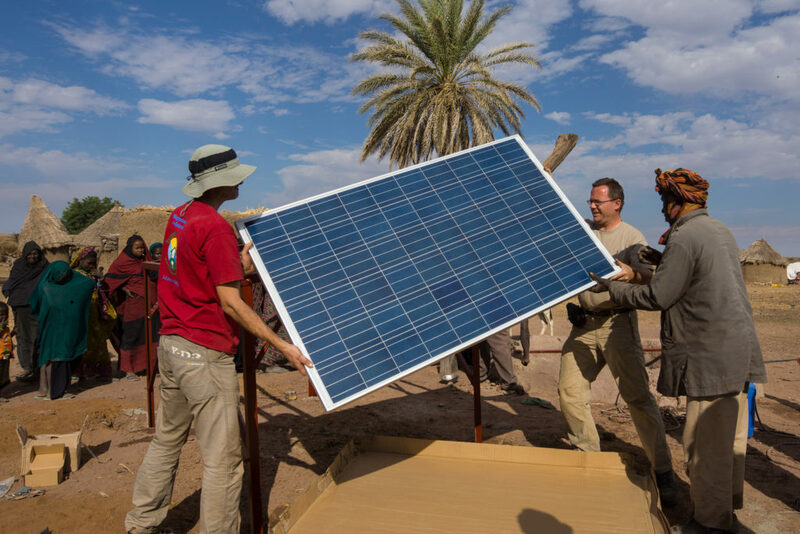 They found that at current costs, most regions of sub-Saharan Africa can get 95% reliable power – meaning that they can use the electricity from the combination of solar panels and batteries – 95% of the time for a cost of 40 cents per kilowatt-hour. This is still more than grid electricity, but costs continue to drop and are likely to be competitive with the grid within the next 10 years. The study explicitly considered reliability as a commodity, looking at the cost of each “9” of reliability – the cost of 90% or 99% or 99.9% reliability. For people who have no electricity at all, these numbers are the subject of dreams. The study indicates that utilities and governments in the region need to take decentralized solar very seriously if they want to finally bring electricity to their populations. Photo, posted February 3, 2015, courtesy of Flickr. ‘Powering Africa With The Sun’ from Earth Wise is a production of WAMC Northeast Public Radio.